You’ve heard it before: a sharp knife is a safe knife. But what’s the best method for getting your blade extra sharp? If you would rather leave it to the professionals, you can send in your knives to Korin for a tune-up. 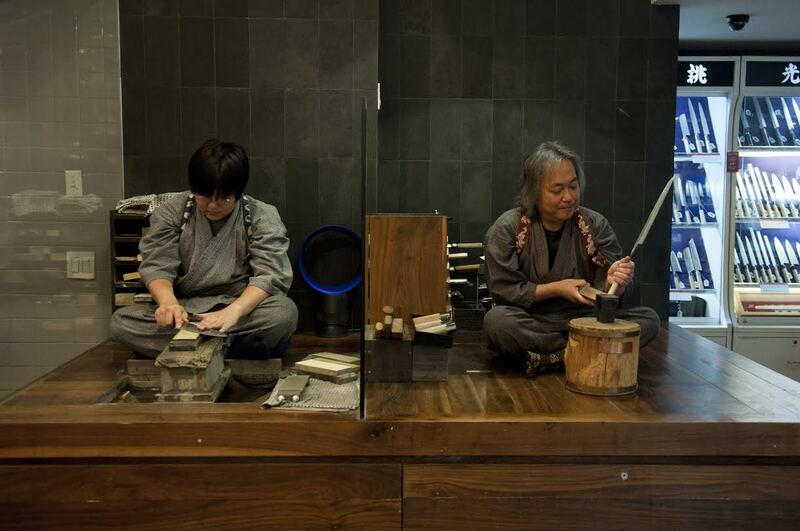 They’ll sharpen and repair virtually any non-serrated knives (including hunting and pocket knives) by hand using a variety of Japanese water stones. Learn more here. Feeling more ambitious? Listen to these episodes of Cooking Issues to hear advice from Dave Arnold about how to sharpen your knives, and try it for yourself. Dave Arnold and Nastassia Lopez take on listener questions of all sorts – from low-temperature cooking, to building a homemade circulator, to knife sharpening. What types of pumps are suitable for a good circulator? What is the best way to soak a liver? And what do Hot Pockets have to do with this week’s Cooking Issues? Listen in to hear Dave offer advice about adding color to red velvet cake, and talk about the right reasons for going to culinary school. Dave mediates a listener debate about knife sharpening; what’s the best sharpening system for your application? Dave talks about his favorite kitchen gadgets, and why people always cook a turducken wrong. EPISODE 222 YOU DON’T HAVE A CIRCULATOR? On this episode, the chatroom is alive and full of comments and Dave is plowing through listener questions. Find out which Cooking Issues faithful listener doesn’t have a circulator, learn about dry rubs, infusions and knife sharpening and laugh along with Dave as he offers his usual dose of wit and energy.